On July 27, 2018, ten young Syrian refugees and local Armenians received certificates for completing a training course titled “Neuro-Linguistic Programming: Principles in Practice” (NLP) conducted by Hagop Makdis Mousso, a certified trainer. 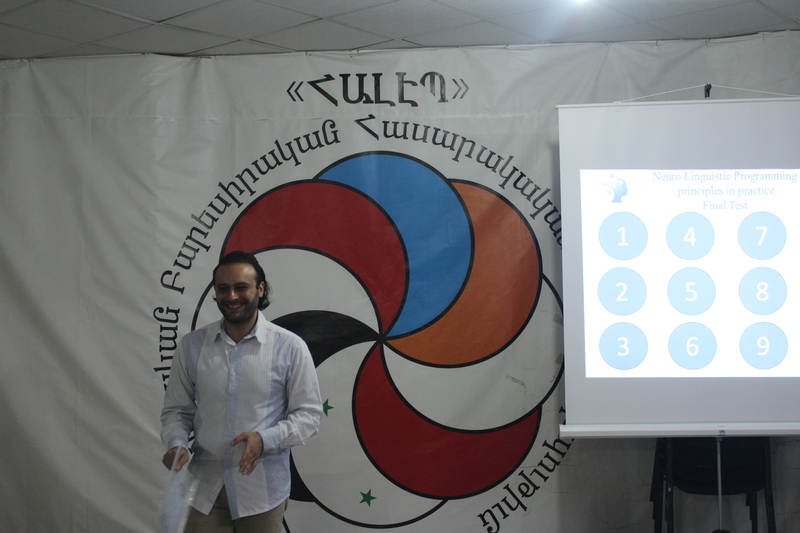 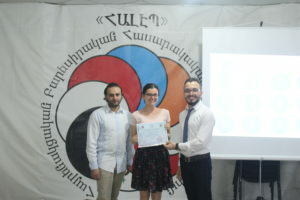 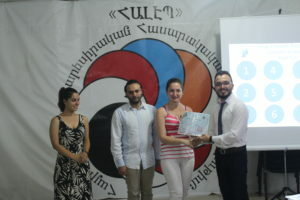 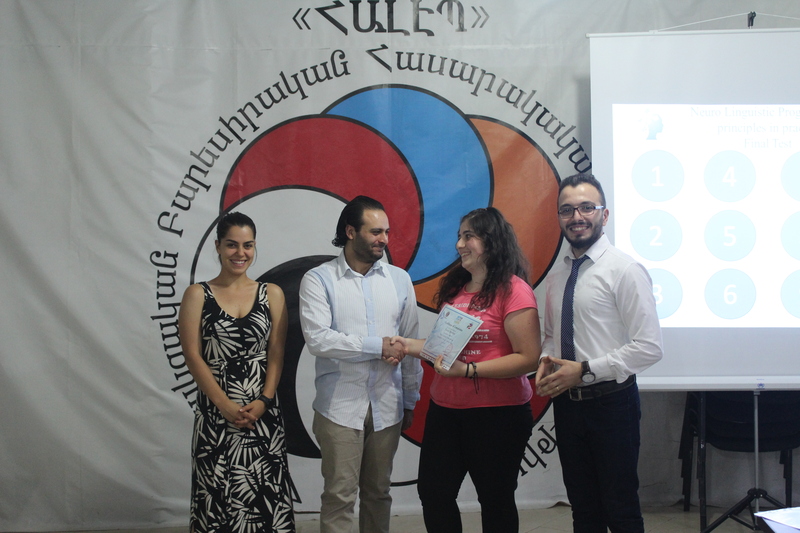 Since June 2018, “Aleppo” Compatriotic charitable non-governmental NGO has been hosting the NLP course within the frames of “Better Future for Syrian-Armenian Youth” joint-project implemented through collaboration with the WCC Armenian Round Table Foundation. 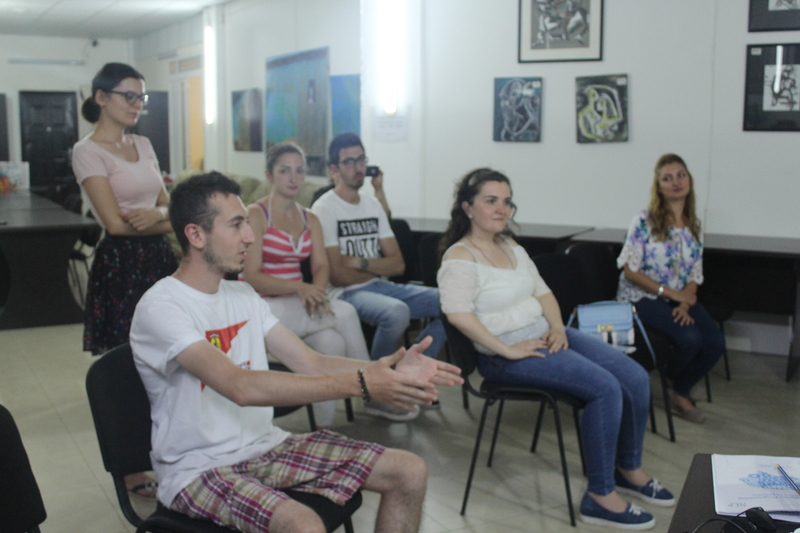 Neuro-Linguistic Programming is the art and science of communication. 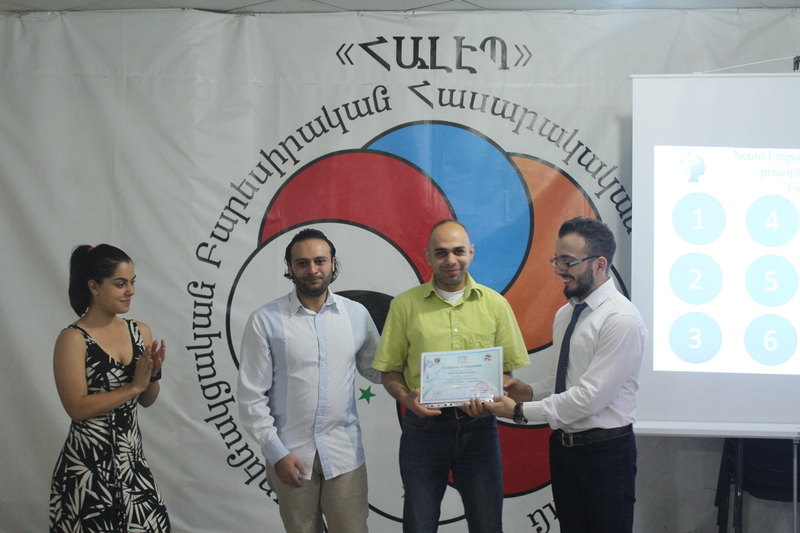 This course aimed to provide the participants with the knowledge on how to learn to empower themselves and set themselves up for success. 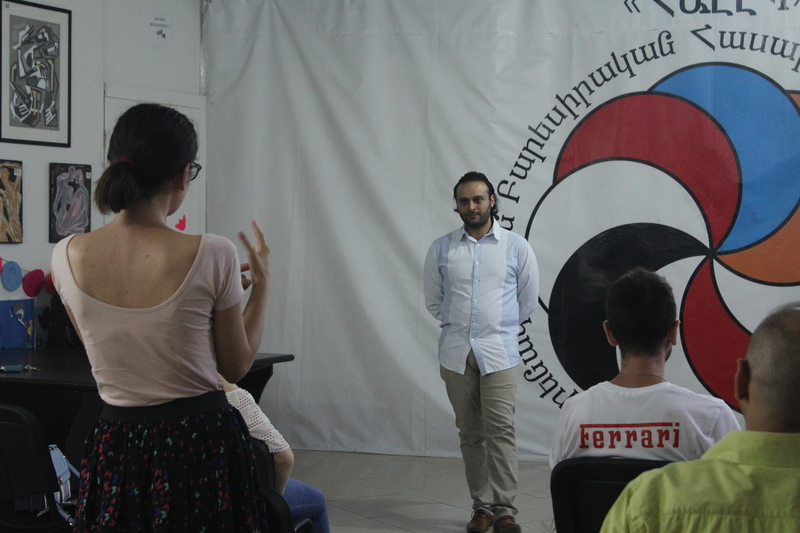 The meeting started with the final oral test of the participants who demonstrated their newly acquired skills in NLP. 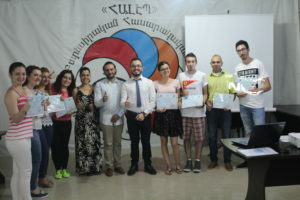 “During this course, we have learned different techniques designed to be used in everyday situations to succeed. 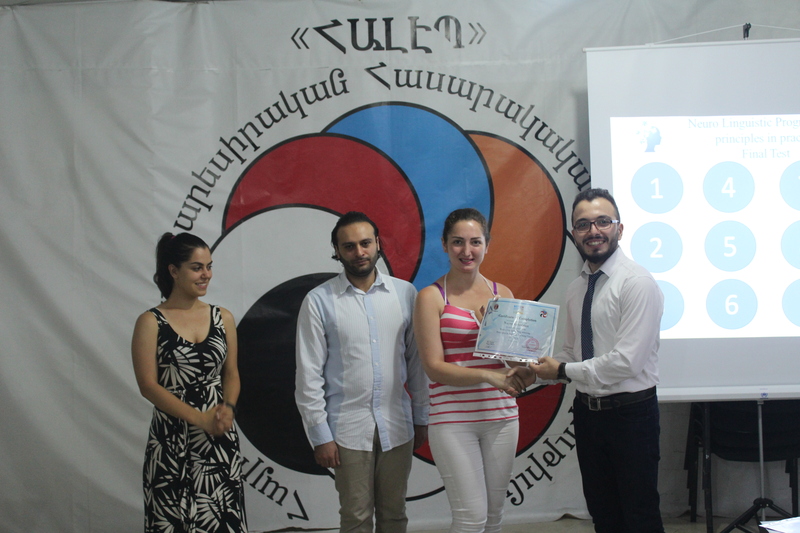 These techniques are quite practical and have already helped me a lot,” – said Aksanna Nersesyan, one of the participants of the course. “In a very short time we have managed to learn a great number of things about people, especially focusing on the different types of people and how to effectively communicate and negotiate with them,” stated Nayre Keleshian as she was sharing her thoughts on the project. The trainer, Hagop Makdis Mousso, was excited about the evident success of the course and was hopeful that the cooperation with Aleppo-NGO within the same project would be as fruitful in the future. 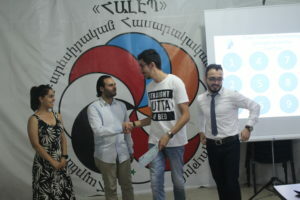 Sarkis Balkhian, the executive director of Aleppo-NGO and Laura Samvelyan, the project coordinator, distributed the certificates to the participants. The “Better Future for Syrian-Armenian Youth” project is a joint effort implemented by Aleppo-NGO and WCC Armenian Round Table Foundation. 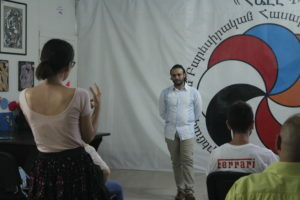 The project aims to empower Syrian-Armenian youth, who escaped the ongoing conflict in Syria and settled in Armenia, through capacity building trainings, pastoral and psychological support, the provision of financial aid to students, interns and fellows, and the organization of pilgrimages and summer camps that facilitate integration with local youth. Some of the initial capacity training programs included Architecture Software Training, Conversational English Classes, First Aid Training, and Microsoft Office Courses.